The Hockey Summer Growth Spurt - Pro Ambitions Hockey, Inc.
Summer is an integral part of the hockey season. Though it is the off season, it can also be a time for a hockey growth spurt. Summer is a time to recharge your batteries after the long hockey season of early mornings and late nights in the height of cold and flu season. A time to let the sun shine and repair all the battle wounds, both physical and mental. The same set or sets of critical eyes watching your child’s play can be very difficult some seasons and truly amazing other seasons. Give your child a new set of eyes to take an honest look and train him or her over the summer, unbiased eyes that have no interest in town or team politics, or parental coach preferential treatment. Give him or her that hockey summer growth spurt. Investing in a summer hockey camp is investing in his or her future in the sport while giving the gift of summer camp FUN and life long memories. 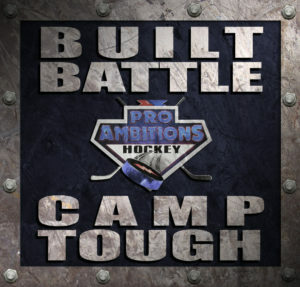 Different from the regular season, a great summer hockey camp experience should be both a mix of fun and serious training without the pressures of the season. Investigative work is essential in choosing the right camp for your child. Like most things in life you get what you pay for. The top camps should have top flight instructors and low coach to student ratios. Find out how many hours of ice daily. Ask the credentials of the instructors. Ask about the curriculum. Find out what happens on a typical day of camp. It is a waste of time to go to a camp with marginal instruction. Your child will not leave a better player and miss the summer hockey growth spurt. Just like the first day of school, when friends and school faculty notice how much kids grew over the summer, Coaches also notice who grew as a player over the summer. A new season is a clean slate. Either at try-outs, (if you have them in the fall), or at the first practices of the season, (if you had try outs in the spring), you want to be rested, well conditioned, and ready to put your best foot forward and give a great first impression. Come prepared in the fall. That does not mean skating all summer, it means investing in a camp or camps where you are going to truly learn and improve your skills and game play. The other key ingredient to a hockey summer growth spurt is conditioning. The best piece of hockey advice I believe that I have ever received was given to me at age 10 by my youth coach about the importance of dry land training. He told me that if I want to succeed in hockey that I must hone my skills off the ice as well as on the ice. I believe that this invaluable lesson helped pave my way to the NHL. I come across thousands of young players a year through my hockey camps. I stress the importance of dry land training and conditioning to players as well as parents. As parents can fully attest, hockey is an extremely expensive and all consuming sport due to the nature of the expense and limited availability of ice time. If your child is really dedicated to hockey there is much hockey homework that can be done at home. In the summer kids have the time, energy, and the beautiful sunshine to encourage them to get out onto the driveway and shoot pucks, stick handle and go for a jog around the block. After playing with many of the great European NHLers I found it very interesting to discuss with them the emphasis on dry land skill development. Jaromir Jagr, Alexei Kovalev, and Martin Straka told me that they were instructed to work on their hands via stick handling, shooting and plyometrics for hours daily. Jaromir Jagr for instance stickhandles daily after practice with a 45 lb. weight at the bottom of his shaft of his stick. Typically, European hockey players have the stereotype for being finesse players. This may ring true due to the dedication and amount of off ice training that is expected of them as young players. Over the years I have come to realize that anything in life that is good is hard. Motivation is the biggest key to success when working off ice. If a player is not into it and works at hockey half-heartedly or not at all, he or she will never see results on the ice. Ice time should be treated as a gift. Unlike other sports, one cannot just jump on ice at will to practice. Do the little things off the ice and really make the most of your ice time. In closing, talk to your son or daughter about a hockey camp experience. Get them involved in choosing the right camp for them. Some children are comfortable with going to an overnight camp while others feel more comfortable going to a day camp. Explain to them that this is an opportunity for specialized instruction and training. Encourage them to make the most of the awesome opportunity for growth in their game while having fun without the pressures of the regular hockey season. A hockey career is a marathon not a sprint. Hockey camp is another part of the amazing race.